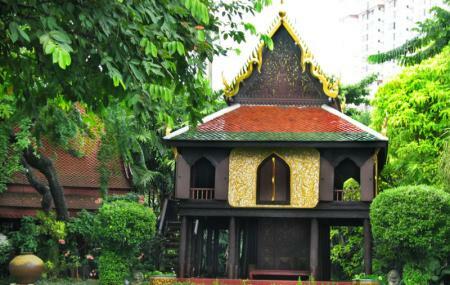 Located south of the Victory Monument, Suan Pakkad Palace Museum is a museum in Bangkok. This museum houses many Thai antiques that are put on display here including the Ban Chiang pottery, which is over 4000 years old. This palace originally home to Prince Chumbhotpong Paripatra and his wife that was later converted into a museum in 1952. The museum building consists of four traditional Thai houses that are interconnected with a group of covered hallways. The building derived its name as Suan Pakkad that translates into "Cabbage Patch." The architecture here that consists of 5 traditional pavilions is one of the best examples of the domestic architecture in this country. Exhibits here include a range of musical instruments, pottery, jewellery and more. Most of the Bangkok tours skip a visit to this place, but you can create your customized plan if you wish to visit Suan Pakkad Palace Museum. Use Bangkok trip planner to visit Suan Pakkad Palace Museum and many others to your visit. Spend some time relaxing in its beautiful gardens. How popular is Suan Pakkad Palace Museum? People normally club together Wat Chana and Sulbing (Saling) Korean Town Bangkok while planning their visit to Suan Pakkad Palace Museum. An unmissable attraction in Bangkok, this museum showcases relics dating from 3000 B.C. all the way to 300 years from now. The environment is calm and soothing, you're pulled out from the bustling metropolis to a place so magical it seems unreal. It is nice if you like history and artifacts. This is a pretty low-key environment in the heart of the city. I walked through alone and it was very enjoyable. Beautiful museum - very quiet when we visited. Lovely place to take some time out of the city.